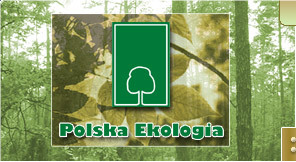 Welcome to the POLSKA EKOLOGIA e-catalogue, a premier source of information on more than a thousand businesses and institutions working in the field of environmental protection in Poland. The catalogue, which is sponsored by the Ministry of the Environment, is addressed to potential investors, local and regional government agencies and other institutions, as well as to companies providing products and services to positively impact the quality of Poland's natural environment. Any input from you would be greatly appreciated as we continue to expand our catalogue. We also invite you to join us in building our database of firms and institutions, both on the Internet and in its printed form.